Where are the Best Places to Sell Silver in NYC? Pros – Easy to locate and convenient to get to. Cons – Usually buy jewelry for less since it is not their main business. Pros – Will look at the direct value of the metal and its market value. Often pay a higher sum. Pros- Give you fast cash on the spot. Cons—Trustworthiness is risky. Likely to pay you less than you can get otherwise. Pros – Private buyers take into consideration the piece as a whole (both its material contents and its artistic craftsmanship). Certified buyers will usually pay the highest sum. Cons – Negotiations may take slightly longer. How Can I sell Silver For Cash in NYC? 1. Are you looking for fast cash or the highest payout? 2. Are you looking to sell to the first place you enter, or do you have the time to search for a better price? 3. Do you want to the sell the piece as a whole or just for its metal content? Once you’ve answered these questions and you know what you want, selling silver in NYC is easy. Start with a free consultation, move to appraisals and negotiations, and end with a high payout. Where can I sell silver Near Me? 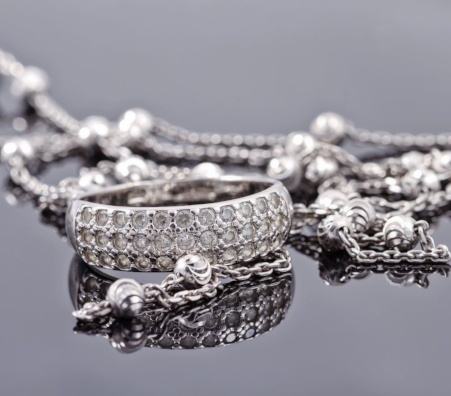 When it comes to finding silver buyers in NYC, there are four main types of buyers to look into: department stores, smelters, pawn shops, and private silver buyers. Shop around and take advantage of the free consultations until you find which route of selling best suits your needs. Take the time to talk with various buyers and discover what benefits they have to offer you specifically. And, before you’ve made your final decision, be sure the silver buyer is licensed and insured! 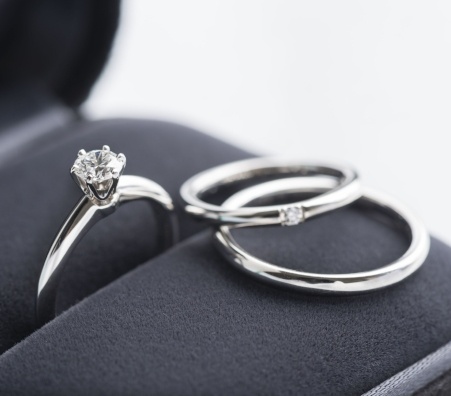 Whether you are looking to sell silver coins in NYC, or sell silver bullions in NYC, your best bet is to check out 47th Street’s Diamond District. Here, you can walk in and out of the plethora of reliable jewelry buying shops until you find the deal that makes you happy. NYC’s Diamond District is conveniently located on just one block between 5th and 6th avenue, so you won’t lose any time looking from store to store. 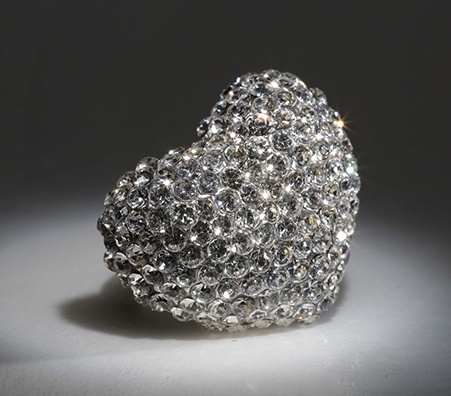 NYC jewelers are known for their buying and selling expertise, particularly those located within the Diamond District. 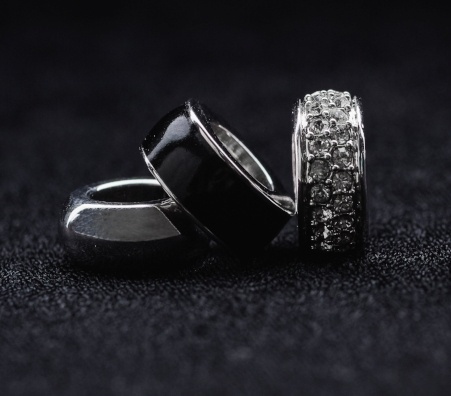 Dealing with tourists and residents alike, NYC’s best jewelers are certified and accredited, so you can rest assured that you are getting the best price for your silver along with true professionalism. 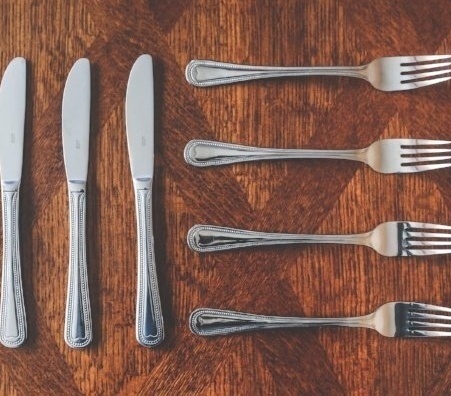 There are all sorts of reasons for buyers to want silver flatware. Know what the different types of buyers look for in a trade, and decide which approach best fits with your needs when . Smelters want the metal; private buyers want the artistic appeal. This will greatly help you pick out the best buyer for you when you sell silver flatware NYC. Next, it is important to be able to identify for yourself that your flatware truly is silver. Real sterling silver will be marked with the numbers ‘925,’ indicating that the piece is 92.5% real sterling silver. Be sure to locate this number before walking in to sell. How Much Is My Silver Jewelry Worth? 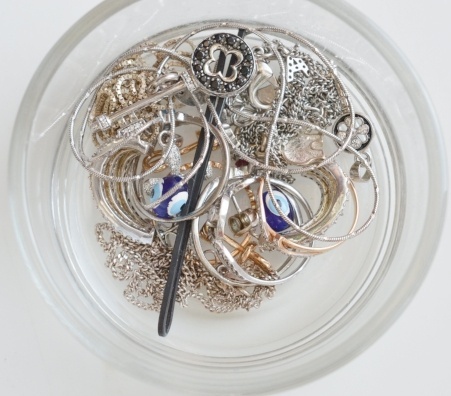 The first step in determining your jewelry’s worth is checking whether it is silver all the way through or plated. Plated silver means that your jewelry is covered by a thin layer of silver that coats a stronger base metal such as copper or brass. 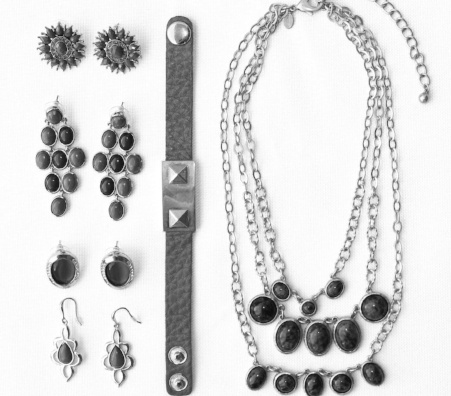 This contrasts with jewelry that is composed only of sterling silver. 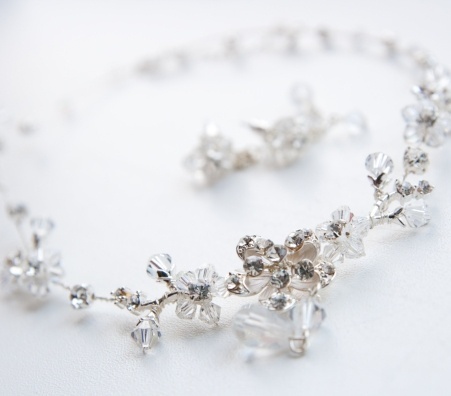 Plated jewelry is often more durable, but usually valued at lower prices. 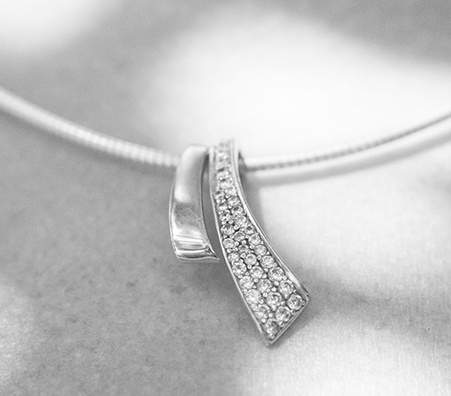 It is easy to identify the difference between silvers by looking for authentic markings on your jewelry. Sterling silver is marked by the numbers ‘925,’ while silver plated is marked by symbols such as silver on coper, EP, EPNS, etc. Once you’ve discovered the type of silver you are dealing with, weigh the item and compare it with current market metal prices. If you’re having trouble deciphering whether your jewelry is sterling silver or plated, feel free to bring your silver in for a free appraisal with Luriya, as well as some friendly, honest advice. Why Is My Silver Tarnished? 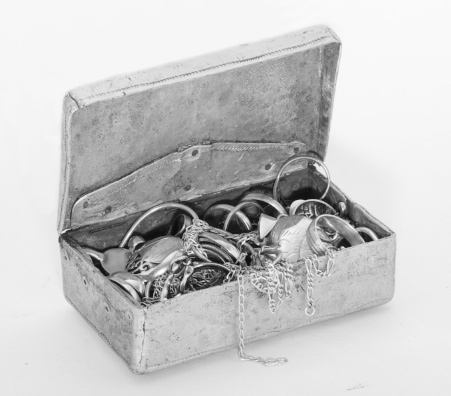 If you have any silver items that have been lying around for a while, you may notice that they’ve begun to tarnish. In other words, your silver might look rusty, dirty, or discolored. Understand that this is natural and does not mean your silver is worth any less! Pure 100% silver is too brittle to be made into jewelry, so most times it is simply combined with bits of other metals, such as copper or nickel, to make it more durable (this is where the concept of 92.5% sterling silver comes from). The tarnishing occurs from a chemical reaction to air with the other metals over time. Tarnished silver can be easily fixed and cleaned up with some polish and a cotton rag. 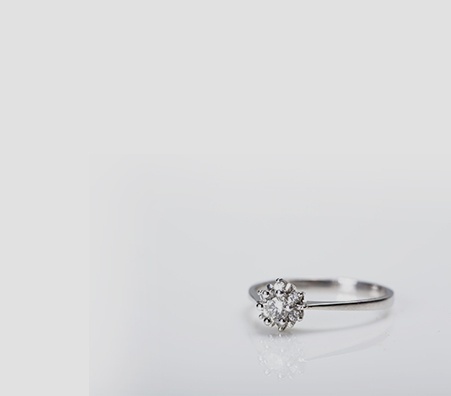 If you have a piece of silver jewelry that you have not put much care or maintenance into and yet it still holds its lustrous shine, then chances are you have a piece of Rhodium plated silver. What is Rhodium? 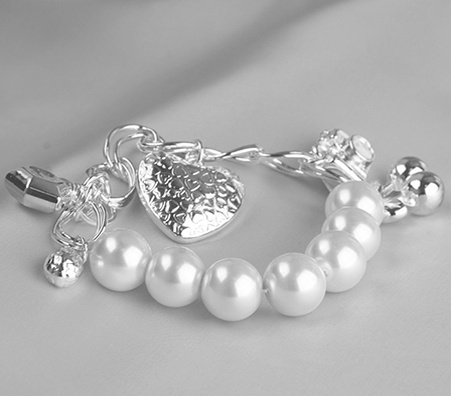 It is a silvery-white transition metal that when used to plate silver keeps the silver from tarnishing. Real silver, such as sterling silver, has properties that react mostly with the air that results in tarnishing. Some enjoy the look of tarnished silver jewelry as it creates depth and history; others merely look for cleanliness and luster. Put simply, silver has a nice ringing sound when it's tapped. Try tapping your finger or another gentle metal against your silver. Then wait and listen for any sort of ringing sounds. Silver has the highest thermal conductivity of any metal. That's just another way of saying it will melt ice quickly. To test this, put a piece of ice on your silver and see how much faster the ice melts on the silver as opposed to another metal object you have. Silver is not magnetic, so if your silver jewelry is high in its silver content then magnets will not easily stick to it. Just keep in mind that you need a strong earth magnet to conduct this test. While these tests aren't a sure-fire way of testing whether your silver is real, they should give you a good gauge to go by. 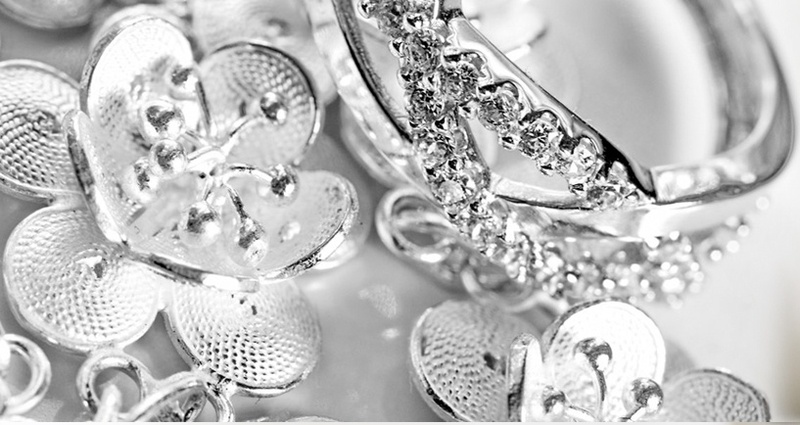 For confirmation, it is best to have your silver tested by a reputable jewelry appraiser. "What’s the difference between pure and sterling silver?" is a question often asked in regards to selling silver jewelry. The answer all comes down to the percentage of silver that was used in crafting your piece. 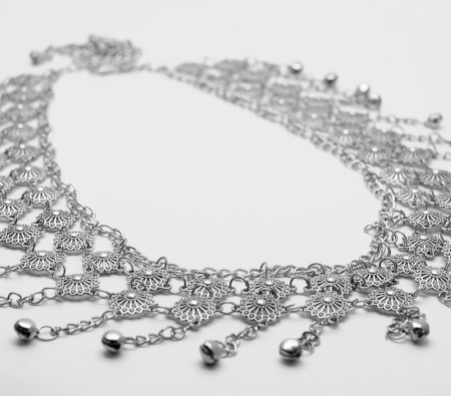 Pure, also known as fine, silver is 99.9% silver metal, and is not very often used to make jewelry or other related items due to it being too soft. Now a day, pure silver mainly comes in the form of silver bars. Sterling silver, which is 92.5% silver, is the preferred component for crafting because the remaining 7.5% is made up of stronger materials that make your silver piece more durable. What Do The Markings On My Silver Jewelry Mean? If you have markings on your silver jewelry, that's a good thing! They likely tell you what your silver jewelry or item is worth and what it's made of. Most actual silver in the U.S. is sterling silver and that will be denoted with the word "STERLING" or abbreviated as "STR". 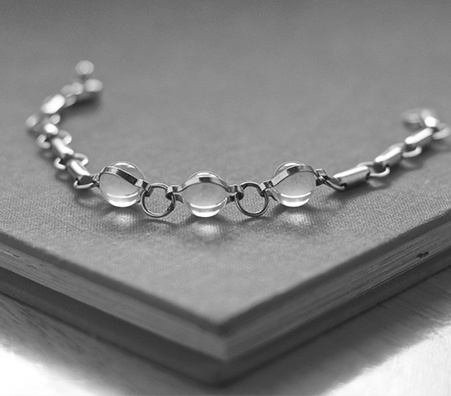 Sterling silver means your item is made of 92.5% silver with the rest often being copper or a stronger metal because silver itself is too brittle. Other times, you may see a stamped number ranging from 800 to 950. These numbers translate to the percentage of silver content (85% - 90%). Just take the number, divide it by 10 and that's your percentage. Although rare, you may see your silver marked "coin" which means a bunch of coins were melted down as materials for your silver. Unfortunately, these markings can be faked so if you have your doubts make sure to take the silver you are looking to sell for cash to a trained professional. The best way to test whether or not your silver items are silver plated or wholly silver, is with nitric acid. Take a file mark and make a small groove in a discreet location on the silver piece. Then pour a drop of nitric acid onto the groove and see how it reacts. If it is true sterling silver then the groove and area around it will turn white. If it is plated, the area around the groove will turn white while the groove itself will turn green. If the piece turns green then your item isn't even plated. However, nitric acid is DANGEROUS and this experiment SHOULD NOT be done at home without the supervision of a trained professional. We recommend taking your silver to a reliable appraiser to do this test for you. Fine silver is just another term for pure silver (99.9% silver). Any silver used for investment or trade on metal and commodities exchanges must be 99.9 percent pure, or .999, sometimes referred to as “three nines fine.” This will often be denoted on the silver itself. Due to the extremely soft nature of pure silver, you will typically only find fine silver in the form of bars or coins, and not as wearable jewelry. What Should I Do With Fake Or Plated Silver? While items made of silver plate often don't hold much monetary value in terms of metal content, they may hold value in terms of craftmanship. For instance, there are about 5,000 silver plated flatware designs, a handful of which can fetch you a pretty penny. In any case, it is worth taking your silver to get professionally appraised to find out what your silver is truly worth.